The Cool Touch Wall allows you to safely mount your television closer to the edge of the glass compared to traditional fireplaces. This design feature built-in to all Flare models demonstrates their efficiency and simple aesthetic. Our fireplaces warm your home efficiently while minimizing heat transfer to surrounding surfaces. Lower temperatures around the fireplace give you the freedom to design your space. Our linear, frameless design is elegant, contemporary, and can be finished with normal building materials. Positioning the fireplace is easier as well. The wall above your fireplace remains cool enough to mount a TV at a comfortable viewing height, without the need for bulky heat shields. With traditional fireplaces, large amounts of heat escape into the surrounding walls, the hearth, or through the chimney. Usually brick and excessive insulation are needed to contain the heat. Our fireplaces direct heat straight into the room and away from surrounding surfaces so your walls stay relatively cool while maintaining the same heat output. A more efficient fireplace means you’ll spend less to heat your home. Things like heat damage and viewing angle present obstacles to mounting a TV above a fireplace. Our Cool Touch Wall feature provides the easiest and best solution. Heat radiating from traditional fireplaces can be extremely high. To avoid heat damage, TVs are usually mounted high up the wall, but this is less than ideal. Looking up at your TV can cause neck strains and the picture quality may be worse because of your viewing angle. Smoke and soot can escape and leave harmful residue on your TV and appliances. 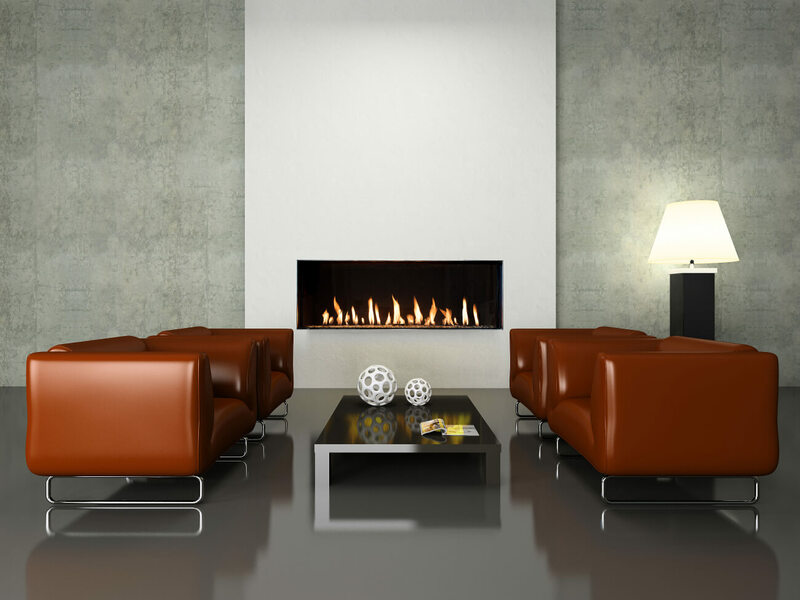 Flare fireplaces produce less radiant heat and instead heat up your room by circulating warm air. Our fireplaces are sealed so smoke and soot can only exit through the vent. 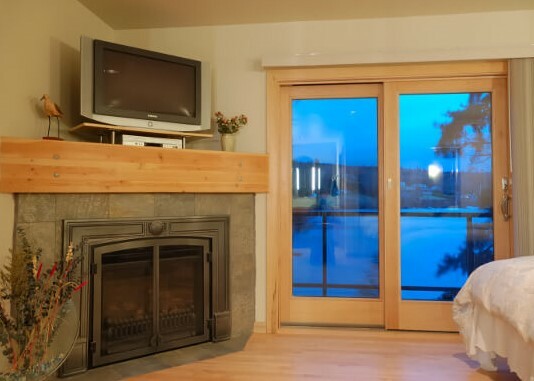 The Cool Touch Wall allows you to hang your TV lower and use less insulation than with a traditional fireplace, saving you time, money, and effort. 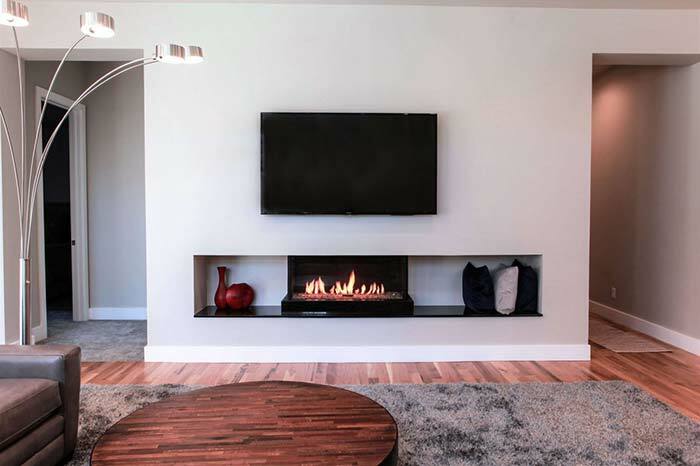 For more information on the problems of mounting a TV above a fireplace see the Chimney Safety Institute of America (CSIA) and Custom Electronics Design and Installation Association (CEDIA) websites. See our manual for instructions on mounting a television and clearance information.